Last week, I had the opportunity (and privilege) of attending the Cal Spas Vendor Appreciation Dinner, held at the company’s headquarters in Pomona, Calif. Cal Spas brought together a large number of its local vendors to extend the company’s appreciation and thanks to them for being part of the Cal Spas team. 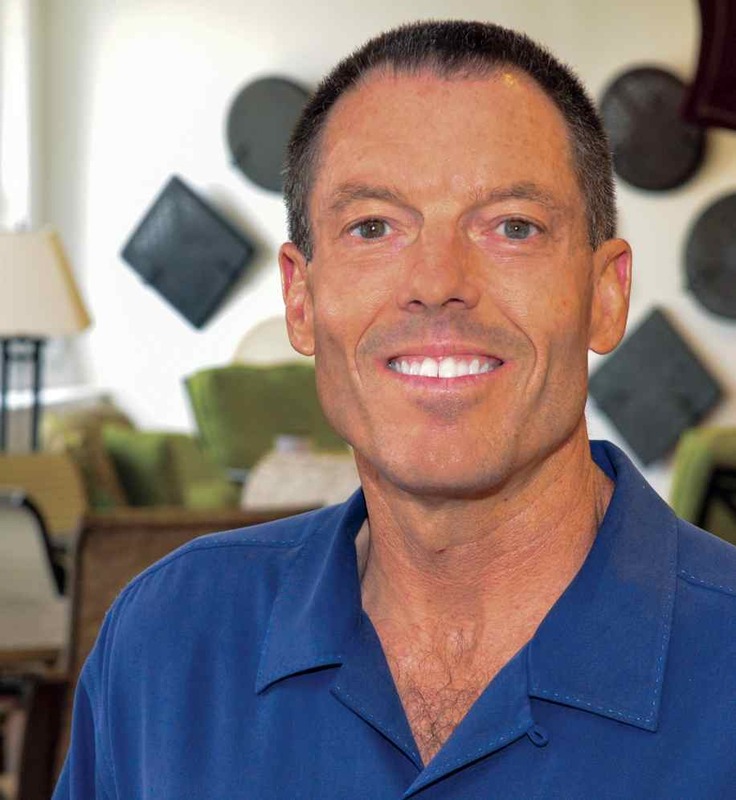 No one does a better job than Cal Spas (led by Casey Loyd, CEO) of extending thanks to its customers. For the past 35 years, Cal Spas/Cal Flame has been in the forefront of product innovation and design with home-resort products. Proudly promoting goods made in the United States, Cal Spas/Cal Flame depends on its specialty retailers/dealers to promote, sell, and distribute its products. Loyd has always understood that Cal Spas/Cal Flame is only as good as its dealer base. For this reason, Cal Spas/Cal Flame invests a lot of time, energy, and money in dealer training, in dealer-support programs, in dealer education, and in letting its specialty retailers/dealers know that they are appreciated. Attendees at the 2014 Cal Spas Vendor Appreciation Dinner. 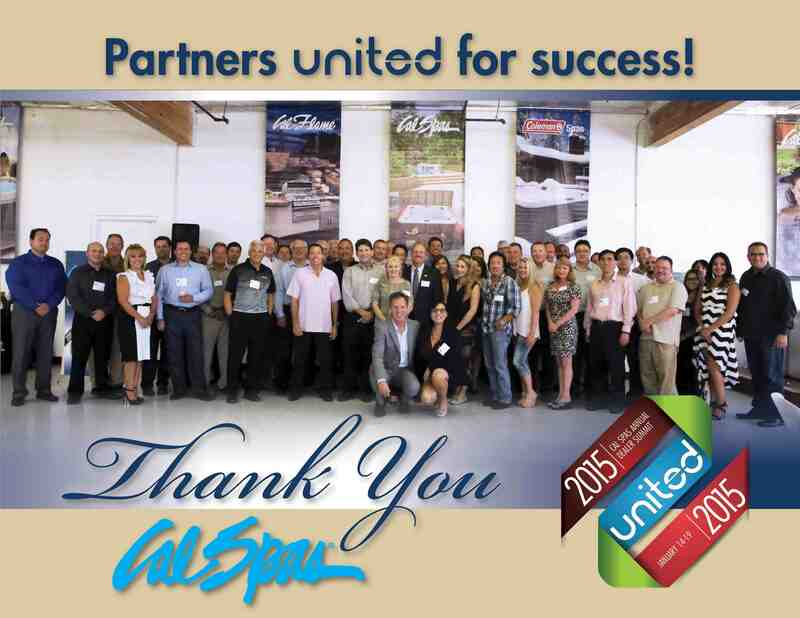 The Cal Spas Vendor Appreciation Dinner was a classy and low-key event. While many Cal Spas/Cal Flame hot tubs, grills, and outdoor kitchens were on display, there was no sales pitch. Even though Loyd is the consummate salesperson—and he does a great job of teaching his staff and dealers the ABCs (always be closing) of business—last week’s event was simply a time for the executive and support staffs at Cal Spas/Cal Flame to get together with the company’s local vendors, enjoying good food and good conversation. Loyd gave a short (but heartfelt) speech shortly into the evening; then, he let everyone eat, mingle, meet new acquaintances, and know that being a part of the Cal Spas/Cal Flame team is not to be taken lightly. In our often-rushed, congested, no-end-in-sight society (with all types of traditional- and social-media outlets screaming at us and trying to get our undivided attention), two simple words—thank you—get overlooked and are rarely uttered. Here is a case in point: Last year, my family and I remodeled our home. It was our way of helping to stimulate the economy. Unlike most home remodeling/construction projects, our remodeling started on time, ended on time, and came in on budget. Best of all, we were more than happy and satisfied with the end results. We worked with at least 10 different craftspeople on our remodeling project. Everyone was treated with respect, and everyone was paid on time. Only one craftsperson, however, had the business savvy and courtesy to say, “Thank you for your business.” I was interested to note that this was the person with whom we had spent the least money. The experience reminded me of the story in the Bible (Luke 17:11-19) in which Jesus heals ten lepers, but only one leper returns to offer thanks. I guess, as they say, some things just don’t change. As businesspeople, we need to be thankful to (and appreciative of) our customers—and to let them know how thankful we are, on a regular and ongoing basis. When we start to take customers for granted, that’s when we start to lose customers. For specialty retailers and dealers who do business with Cal Spas/Cal Flame, two things are certain: They know that they are appreciated, and they know that—starting right from the top, with Loyd—Cal Spas/Cal Flame is thankful for their business. Now that’s a good business strategy that should be employed by all.